Hyundai is set to open a new digital car showroom in the Bluewater shopping centre. The car manufacturer has teamed up with Rockar to secure a 10-year lease on a 2,000 sq ft store in the Kent-based shopping centre. The Rockar Hyundai car showroom will allow customers to research cars, get a price for their old car, and arrange a test drive in a Hyundai in the centre’s car park at the touch of a button. The move towards digital stores is a relatively new approach to vehicle sales. 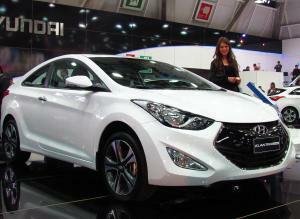 As with all new car showrooms, Hyundai Rockar will require motor trade insurance. A combined motor trade insurance policy will cover the vehicles on display in the showroom, the digital equipment used by customers, and the cars in the parking area available for test driving. Rockar founder Simon Dixon said: “It is clear from research that customers buying a new car find it an intimidating experience. The store – which opens in November – is also expected to offer vehicle servicing to customers while they shop in the near future, with plans to open a car servicing facility near Bluewater.